As far as albums to cover go, the Beach Boys' masterpiece Pet Sounds is about as daunting as it gets. In honour of the album's 50th anniversary, Austin, TX label the Reverberation Appreciation Society thought they'd give it a go — a fun concept, even if the results are quite mixed. All the beauty is lost on "Good Vibrations," which becomes an angsty, indistinguishable tune, almost of a high school battle of the bands quality, in the hands of the Black Angels. It's an admirable effort, as the band tried to work in direct contrast to the sunshine and theremin original, but it sounds rushed and ramshackle in execution. 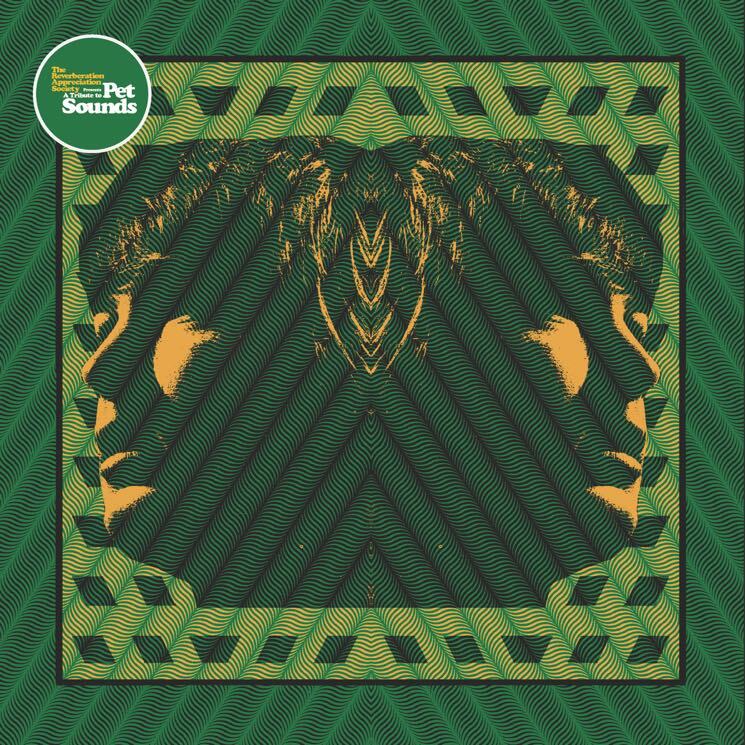 The version of instrumental interlude "Pet Sounds" that Burnt Ones offers up, meanwhile, is frustrating, often sounding as though it's falling apart and losing its focus. The band slip in and out of tune, making it feel forced and excessively experimental. "Caroline, No" by the Cosmonauts is even more disastrous, although the descent into a fuzzed-out solo isn't all that bad. Too many moments on this tribute sound tired and uninspired, which feels like it should be impossible, given the original material the bands have to work with. There's an unshakable sense of the majority of these songs being demo versions, as they often feel and sound unfinished or poorly mixed. Indian Jewelry transform "Wouldn't It Be Nice" into an electronic drum-driven, My Bloody Valentine-type number, but it's lazily sung. Artists should (and do) transform songs in covers to add their spin to it, but a number of these feel like bored, passionless versions of themselves. Thank goodness for the Cool Ghouls' take on "Here Today," which feels energetic and fresh, unlike anything else on this LP. Holy Wave's "That's Not Me" plays quite true to the original both vocally and instrumentally, which somewhat defeats the purpose of a cover, but remains a delight nonetheless. Other redeeming moments include Morgan Delt's "Don't Talk (Put Your Head On My Shoulder)," which is just as hypnotic as the Beach Boys' version, and he vocally hits the high notes. Night Beats' "Sloop John B" is fun and bright, and that muted bass sounds just right.